Whew – what a summer! We get so busy in the world of anything & everything real estate® managing daily market movements, advocating buyers and strategizing with sellers, that it is easy to let the big picture slip away. Today, expert guest Carol Burnett joins Host Joe Cucchiara for a past & present perspective on the real estate market as a whole. As Vice President & Managing Broker of Alain Pinel’s flagship office in Saratoga, Carol supports and coaches over 100 agents on results in any economic environment – and is here to help us do the same. Tune in today at 3pm PST to AM 1220 KDOW, for an engaging hour on price appreciation, buyer fatigue, affordability & the international interest here in the United States. Call 1.800.516.1220 with your questions, and listen streaming online at www.kdow.biz. Joe and Carol will kick-off the hour by sharing a little bit about the award-winning team known as Alain Pinel Saratoga. Winning in this market is not easy, but this top team has leadership, experience and passion that we all can learn from. Next, the discussion will start with setting the stage of where we are today, and how this sellers’ market is different from those in the past. Joe will ask Carol about the question of this market being a ‘bubble’ and if prices really can get any higher?! | Buyer fatigue…getting weary & waiting, is it worth it? | Silicon Valley market traits – does our unique market support continued price growth? | Inventory expectations and home turn-over today – what factors contribute to people staying in their homes longer? | And much, much more! Listen in for real life examples and reality-driven guidance today from 3-4pm PST on AM 1220 KDOW! for bringing her time, energy & expertise to our program! As one of Silicon Valley’s most dynamic leaders in residential real estate, Carol Burnett leads Alain Pinel Realtor’s newly renovated “flagship” office as Vice President and Managing Broker. With her wealth of industry knowledge, community leadership and devotion to her sales associates, both her office and her dynamic Saratoga “team” of 100+ agents is recognized throughout the United States as one of the leading teams of real estate professionals. Bringing more than 30 years of real estate expertise to APR, Carol is widely recognized as one of the top 50 women in Silicon Valley business circles. She not only leads the day-to-day operations and marketing of one of APR’s largest offices, she also orchestrates the annual APR Estates Tour for Saratoga/Los Gatos/Monte Sereno every spring that launches the primary home buying and selling season for luxury-class properties. Following an award-winning career as a sales professional with Cornish & Carey, Carol entered real estate management in 1986. From 1989 to 1999, her Saratoga Cornish & Carey Office was ranked #1 (across all companies) in closed dollar volume in Silicon Valley and the lower Peninsula. An industry icon, Carol’s list of awards are many, including the President’s Award from the Los Gatos/Saratoga Board of Realtors, the Tribute to Women and Industry (TWIN) award by the YWCA (presented annually to 40 outstanding Silicon Valley women), and The San Jose Business Journal award acknowledging Carol as one of 50 Outstanding Silicon Valley Women in Business. 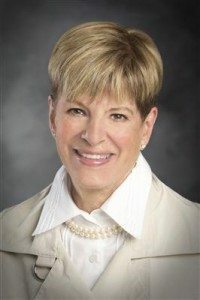 She’s held numerous positions and chaired many committees in the Silicon Valley Real Estate organizations, including Secretary/Treasurer of the Silicon Valley Board of Realtors and a long-standing member of the PRDS Standard Forms Committee. Carol is married to Keith and is the mother of two sons.